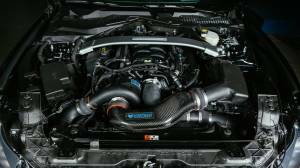 TREperformance Ford Shelby Vortech Superchargers 2015-2017 Centrifugal Blowers - TREperformance.com sells new Vortech superchargers and supercharger systems from Paxton and Vortech Superchargers. Vortech's centrifugal style superchargers can be installed on daily driver stock Ford Mustangs, or heavily modified drag and race cars making over 1,000 horsepower. Please choose your vehicle below.